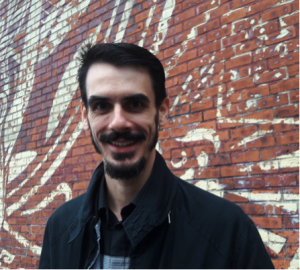 This month Natural Selections interviews Tiago Siebert Altavini, Postdoctoral Associate, Gilbert Lab. How long have you been living in the New York area? I’ve been living in NYC for five months now. Where do you currently live? Which is your favorite neighborhood? I currently live in the Upper East Side and my favorite neighborhood is hard to choose because there are so many interesting neighborhoods in NYC. But, I really like the East Village, Hell’s Kitchen and some parts of Brooklyn. What do you think is the most overrated thing in the city? And underrated? Overrated, I guess I still didn’t have the experience of being frustrated about something I was expecting. Underrated is the fact that you can go to the beach by subway. I don’t see much of a beach culture in NYC, I really like the beach, and it seems that people here don’t take much advantage of it. What do you miss most when you are out of town? I haven’t been out of town much, just in Connecticut for two days. I’ve become used to the options of places to eat and interesting things to do on the weekends, so if I was out of town I would definitely miss that. I also got used to the agitation of the city, so if I was out of town I would miss that too. Has anything (negative or positive) changed about you since you became one of us “New Yorkers”? Negative, I don’t recognize anything yet. Positive, I’m getting used to walking a lot, I can walk for more than one hour and I really like it. If you could change one thing about NYC, what would that be? I would take out the cars honking, that’s one of the things that affects me the most, it’s very unnecessary and stressing. What is your favorite weekend activity in NYC? To explore new parts of the city, visit new neighborhoods without a particular goal, just walking on the streets of some place that I haven’t been yet. It’s a large city and it’ll take many weekends until I have explored enough to pick one favorite place and just keep going back there. What is the most memorable experience you’ve had in NYC? The arrival, the first days in NYC. This city is so impressive with all these skyscrapers, the agitation, the size, the cars and the noise. I have never experienced this before anywhere else. Bike, MTA or walk it? Walk! I haven’t ridden a bike much in NYC yet, it’s nice, but I like to walk, even if it takes longer, I’d rather walk. If you could live anywhere else, where would that be? I would like to live in Europe, somewhere with cities much older than those in America and Latin America, with 1000 year old buildings, I would like to try that. Do you think of yourself as a New Yorker? I think I’m getting there, maybe a few more months. People have already asked me for directions in the street and usually I know the answer, so I think I’m on my way. This entry was posted in Current Articles, New York State of Mind by Juliette Wipf. Bookmark the permalink.